class="single single-post postid-1284 single-format-standard wpb-js-composer js-comp-ver-3.6.12 vc_responsive"
The Premium Assorted Meat Stew – formally known as Buddha’s Temptation – is a variety of shark fin soup created during the Qing Dynasty in Fujian Province. The dish has been regarded in China as a prestigious delicacy known for its rich taste, usage of various high-quality ingredients and special cooking technique. It is a highly nutritious food laden with protein and calcium. To celebrate the coming Chinese New Year, Dinesty is proud to introduce its own Premium Assorted Meat Stew, a limited-time offer available from January 25 to February 5, 2016. 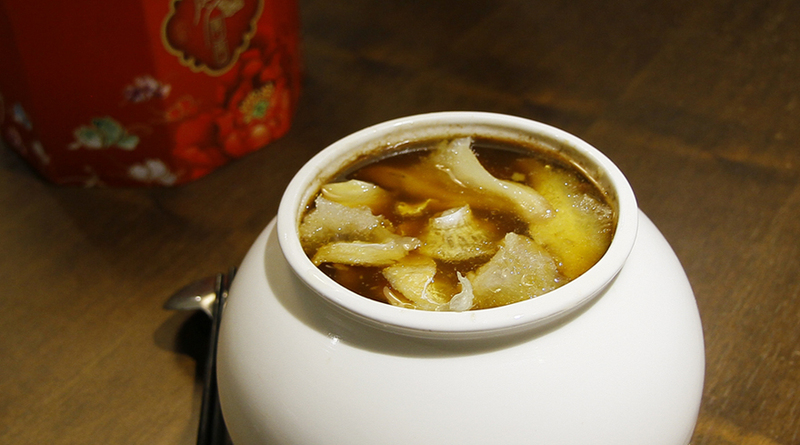 This sumptuous dish features valuable ingredients – such as shark fins, beef tendons, pork bellies, chicken thighs, spareribs, chestnuts and bamboo shoots – packed in a porcelain pot and slow-boiled for 6 hours. It is offered in limited quantity and reservation is required. For more details about this premium delicacy, contact any of our 5 locations near you.